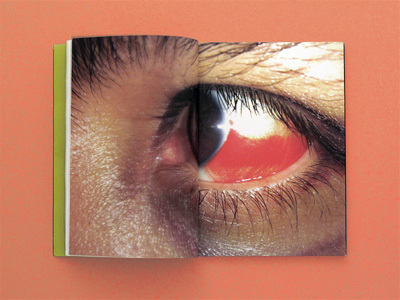 The first issue of Mexican artist Gabriel Orozco's artist's book/magazine GOZNE includes astonishingly detailed photographs of insects by Pablo Vargas Lugo, city plans by Tatiana Bilbao and super-close-up shots of black and blood-filled eyes by Miguel Calderon. 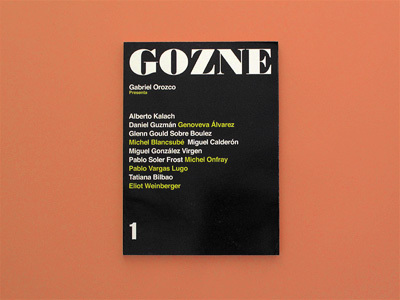 GOZNE eschews the static energy of a strict artist's book and instead functions as a vivid periodic compendium of collaborations, discussions and representations presented as distinct portfolios by the artists, architects, writers, fashion designers and theorists who are invited to contribute and collaborate with the artist each issue. 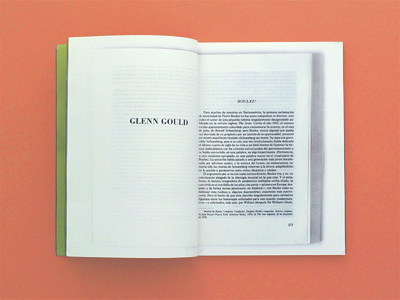 Instead of simply highlighting a contributor's work, it peeks through their archives, elucidates their thoughts and discloses their working materials.